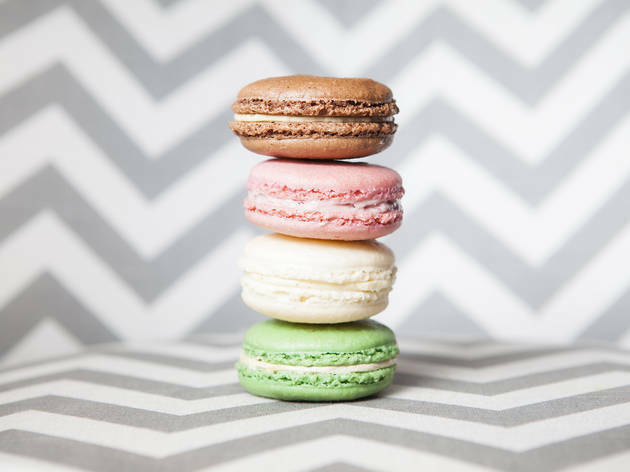 Worldwide icon-chevron-right North America icon-chevron-right United States icon-chevron-right California icon-chevron-right Los Angeles icon-chevron-right The 11 best shops for French macarons in L.A. 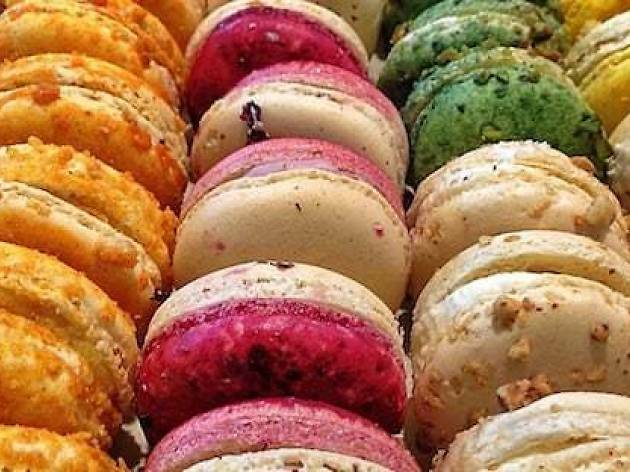 The 11 best shops for French macarons in L.A.
We all have a guilty food indulgence. For some of us, it’s tacos at 2am; for others, it’s stoner food galore. 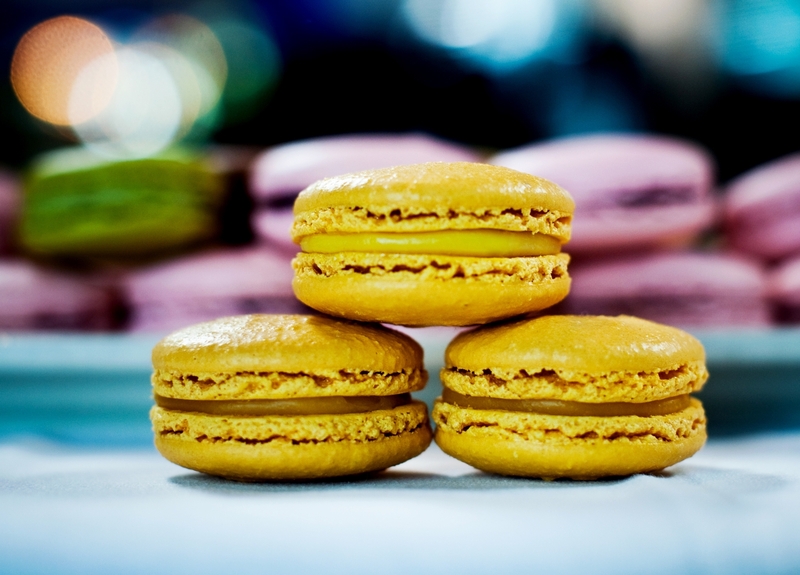 But for the sweet-tooths among us who want more than just a piece of candy for a chocolate shop, French macarons are an especially decadent treat. 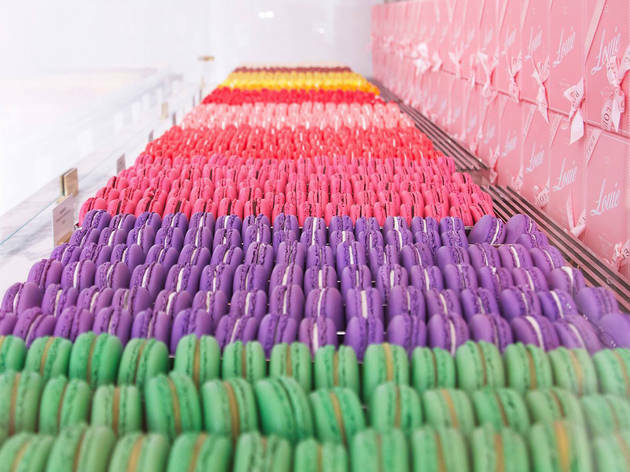 Whether you have an obsession with the almond-flour cookies’ cute look, want to feel like you’re in Paris for a day, or just really need to make your Instagram followers jealous, a colorful French macaron from one of these bakeries should do the trick. 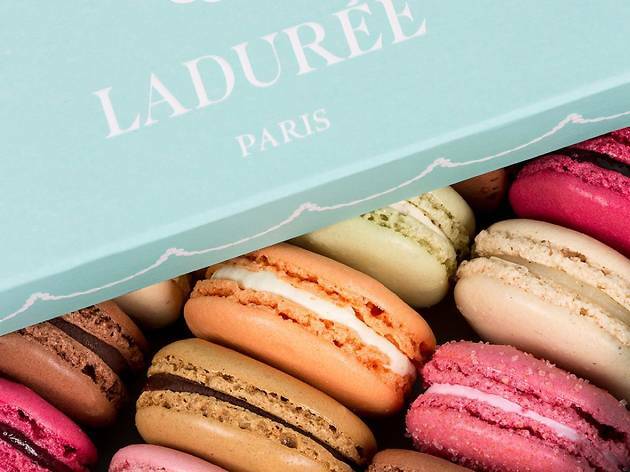 Everyone in L.A.—Francophiles included—knows about Bottega Louie. 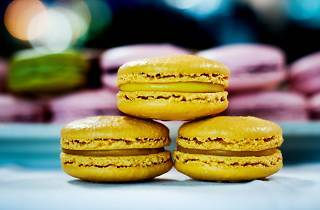 Their gourmet assortment of macarons is made locally with California almond flour. If you’re sitting down for dessert and want to go big (and we mean big), try the Le Grand Macaron: a colossal cookie with raspberry jam and raspberries on top. If not, we have one suggestion for you: the salted caramel. Soft and perfectly balanced between sweet and salty, this classic flavor will be sure to impress. Head over to the back of the bakery section for a chilled bottle of champagne, perfect for accompanying the macarons' gorgeous Louis XIV-esque packaging. Chocolate Opulence is offering some of the best—if not the top—macarons in L.A. Despite the name, the charming shop has a lot more to offer than chocolate. 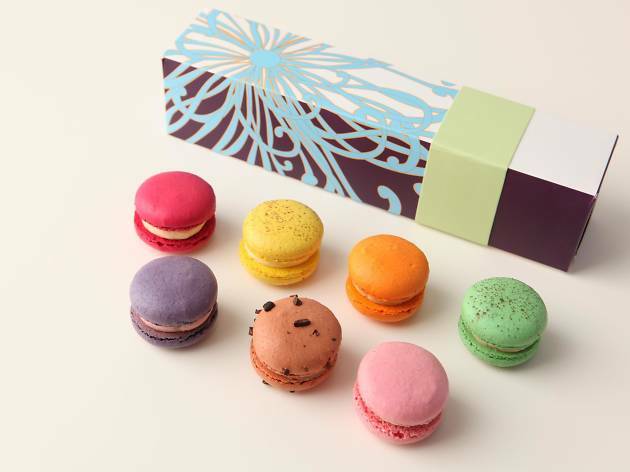 Peer into their display case and you’ll find an average of 10 unique macaron flavors, ranging from crème brûlée to Kona coffee, all beautifully garnished and stuffed with rich filling. 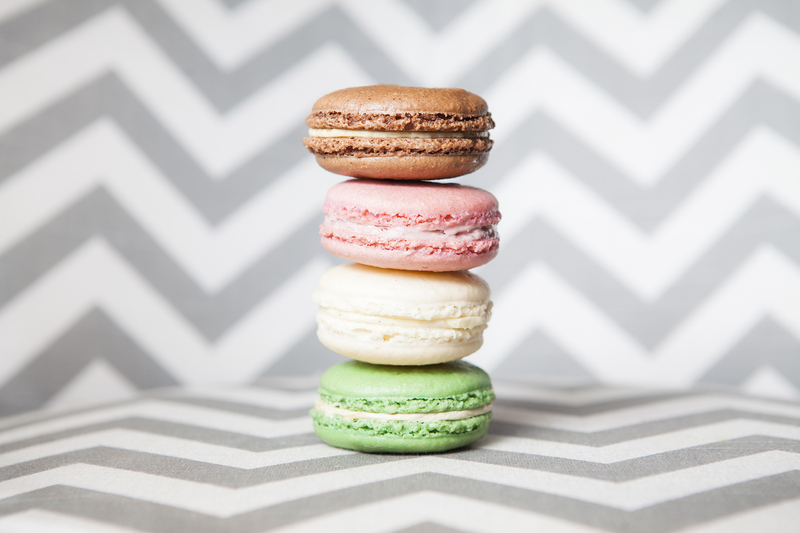 For an afternoon snack, try a classic flavor like sea salt caramel; for a post-dinner treat, opt for a rose or fruit macaron (the sour-yet-sweet raspberry, key lime pie or mango varieties will not disappoint). 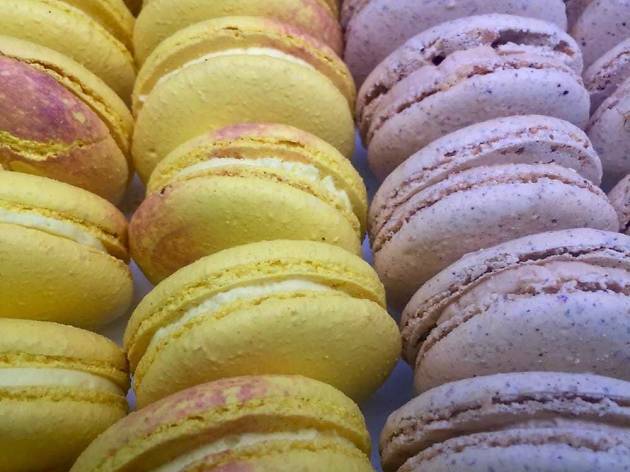 Photograph: Courtesy Yelp/Angela A M.
For those who can’t get enough of that light macaron cookie crunch and decadent filling, Pasadena gem Euro Pane bakes especially large macarons at roughly the same price you’d find the smaller versions everywhere else. Grab a box and load up because these may be the biggest steal on the list. Forget buying your sweetheart a bouquet of roses—opt for rose macarons instead. 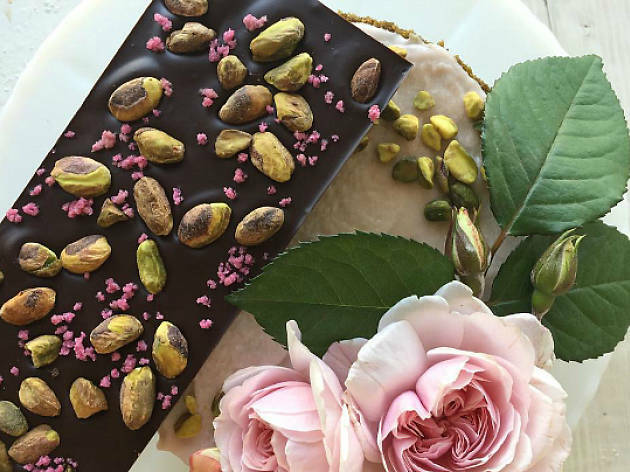 “A rose for a rose” takes on a whole new meaning at Jin Patisserie, thanks to their wide assortment of flower- and perfume-flavored treats. Their traditionally light, exquisitely-scented, pastel-colored bites are perfect for those who like to mix their senses. At Jin, the rose and jasmine macarons are the way to go. Small and crisp, these sweets would go over well at a garden soirée. Don’t leave without checking out Jin’s more unique, fruity flavors, such as lychee and cassis—they’ll complement the perfume options without overpowering them. The restaurant offers up some truly decadent French dishes—foie torchon, anyone?—but next door in the boutique is where you’ll find macarons made in house daily, plus imported French treats and knick-knacks. 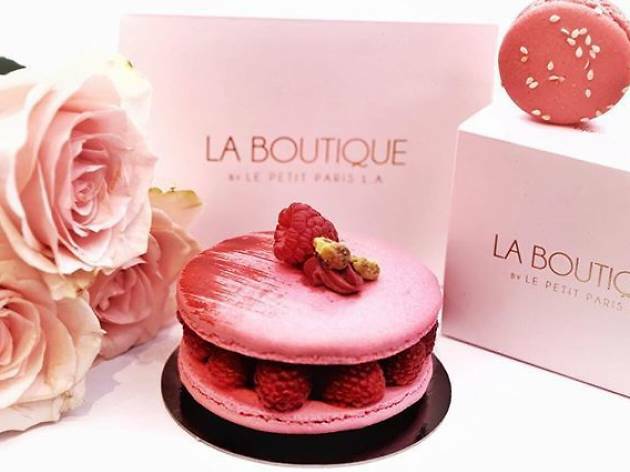 Look under the boutique’s centerpiece, a glass pastry case, for raspberry grand macarons topped with the fruit and a single rose petal. The first L.A. outpost of the beloved Paris-based chain can be found at the Grove (and now in Beverly Hills and Glendale, as well), offering a retail case to purchase classic flavors, and a small dining room for those who want to stay for an elegant tea party or full meal. 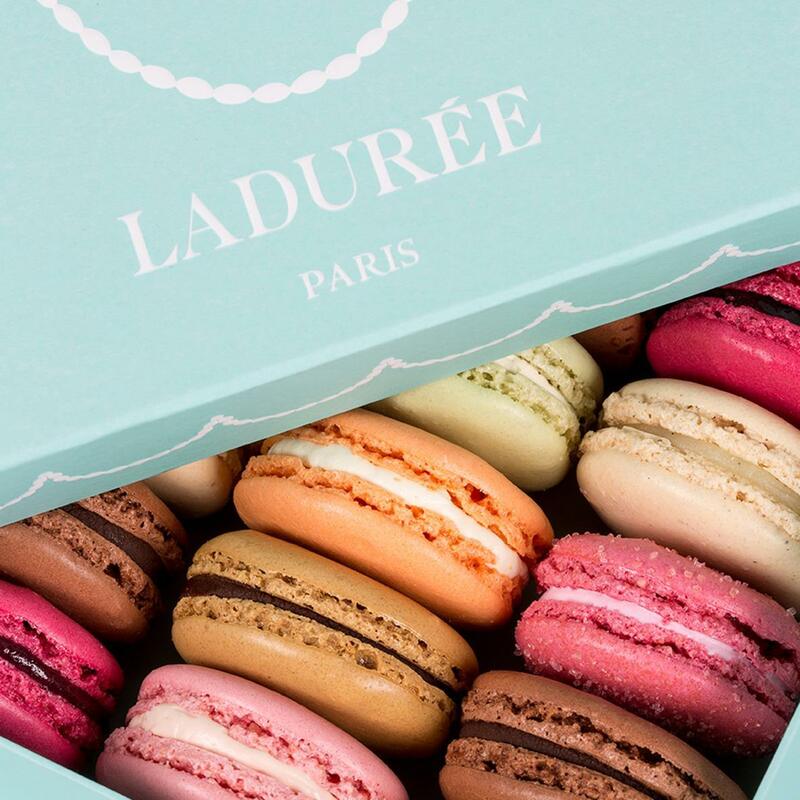 Ladurée has been baking up macarons since 1862 and might be the world's best-known name (and packaging) in the game. 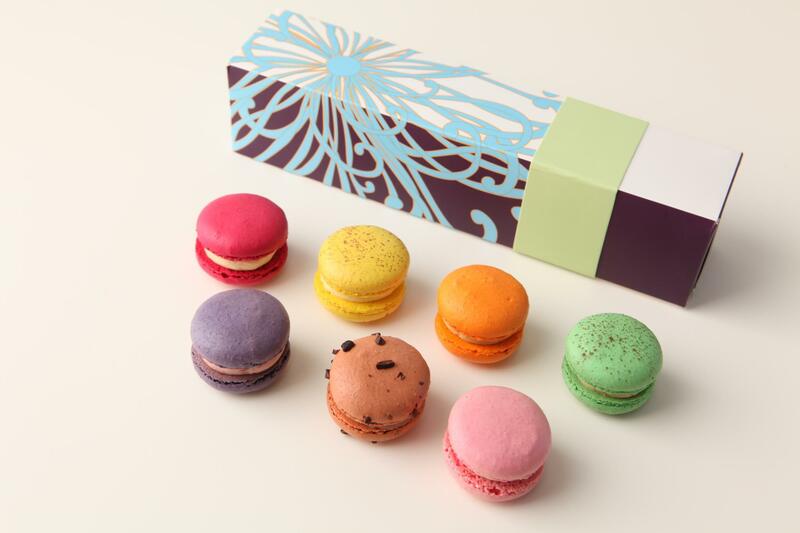 Look for seasonal specials and boxes that somehow make the macarons even more adorable—which is a pretty phenomenal feat, if we’re being honest. 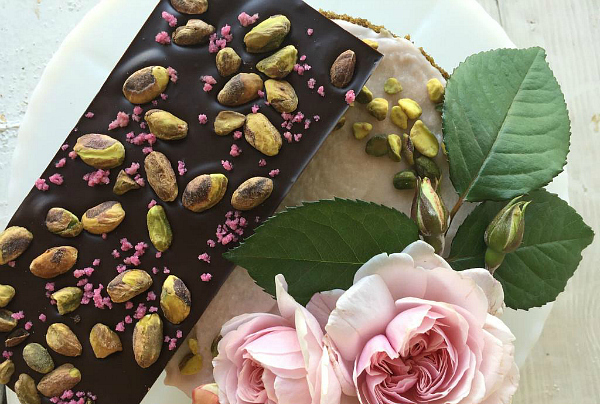 If you’re a pistachio fan, stop what you’re doing and head over to Larder at Tavern as soon as possible. 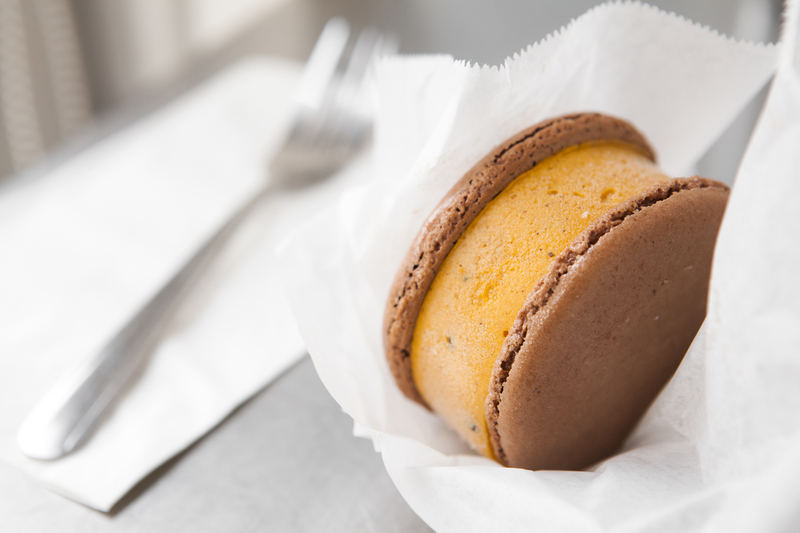 The best pistachio macaron in the city is about to drive you nuts (pun intended). Load up on the pale green pretties and, if you can’t get enough, toss in a few other flavors of macarons, too. Don’t stop with just the cookies, though—you’ll also love the Larder’s seasonal cobblers and fruit tarts. Oh hey, pretty thing. 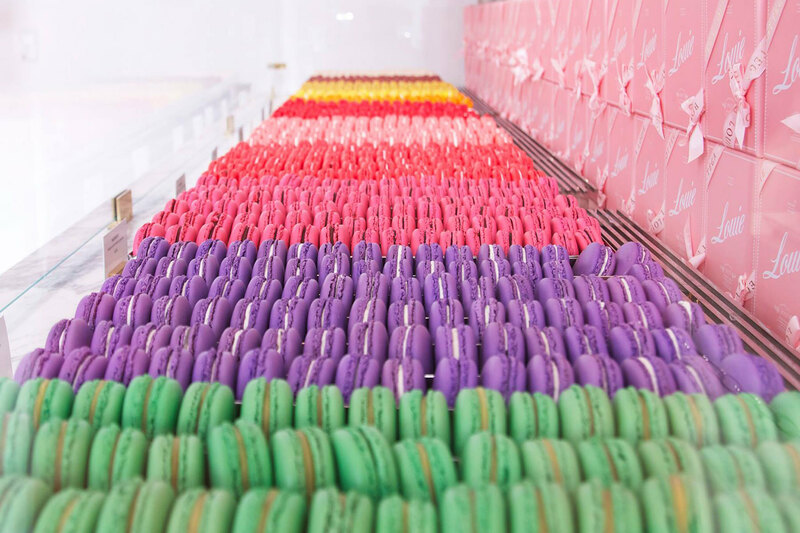 At $2.25 a pop, ’Lette’s sugary macarons aren’t cheap, but they’re definitely worth the quality Instagram photo ops. Mix and match the shop’s take on classics with fruit or seasonal specialties—Caribbean chocolate next to passion fruit, Madagascar vanilla next to raspberry, Colombian coffee next to sweet wedding almond—then snap away. ’Lette’s dispay case is a thing of beauty as well, and worthy of its own photo shoot. If chocolate and Paris are two of your favorite things—and why wouldn’t they be?—then the Little Next Door is a match made in heaven. At this brasserie-meets-bakery-meets-wine-bar adjacent to the Little Door, you can enjoy your macarons with a glass of wine. Their chocolate variety is perhaps the best in the city: rich but not too decadent, and a legitimate melt-in-your-mouth affair. You may come in for a few samples, but you’ll leave with a baguette under your arm along with your whole basket of macarons. Can’t decide between a macaron or ice cream? Milk has you covered with their signature macaron ice cream sandwiches. 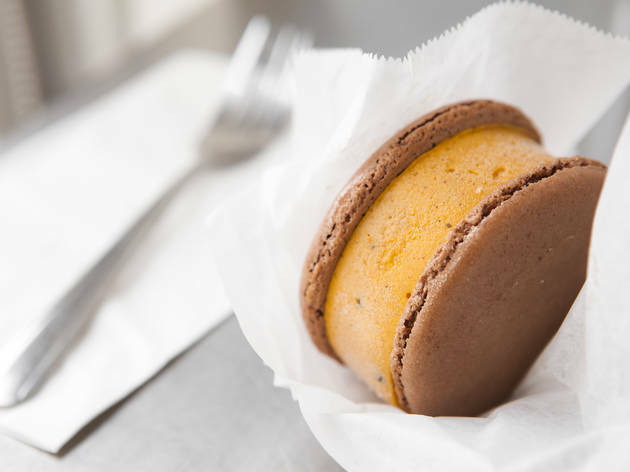 Oversized macarons in flavors like Thai iced tea and red velvet take the place of the traditional sandwich cookies and, instead of filling, you’ll find a thick layer of the shop’s house-made gourmet ice cream. This cozy family-owned café will transport you from DTLA to gay Paris in no time. Don’t get distracted by the pastry case full of classic French sweets—best of luck—and keep your eyes on the prize: You’re here for pillowy cookies in flavors like champagne, hazelnut and pistachio. At the holidays, look for festive macarons decked out like Jack-O-Lanterns or shaped like hearts—this team goes above and beyond year round. Diamonds are a girl's best friend? Please. Chocolate is the way to a lady's (or fella's) heart, and we've found some of the best chocolate in the city.